Casey joined @properties as a member of one of the leading sales teams in the city of Chicago. Her knowledge and passion for real estate was an asset to the her team closing over 70 millions in the past 3 years. Her established relationships and expansive local knowledge, combined with @properties expert resources & technology, provide a unique advantage to her clients. Casey is recongized as Top Producer by the Chicago Assocation of Realtors. 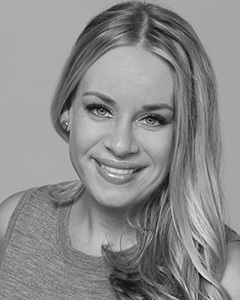 Her expertise includes marketing and selling individual property listings, creative problem-solving and negotiating, assisting and educating buyers through their purchase, and luxury high rises. A dynamic approach is used In assessing the market and property values, including the Case-Schiller Index, Macro-Market reports, CoreLogic HPI, AVMs, third party appraisals, BrokerMetrics and MLS-Connect CMA reports. A lifelong Chicagoland resident, Casey has developed an in-depth knowledge of many Chicago neighborhoods as well as the North Shore and the market values of homes in them. Casey is committed to the highest quality of service with an emphasis on accountability, reliability, timeliness and enthusiasm. Each client is surrounded with an experienced team of professionals with a knowledge-base and expertise in finance/lending, real estate law and home inspection services; combined years of experience of these team members exceeds 25 years. "Great experience buying our first property with Casey. We never felt being pressured into buying something. Casey was instrumental in vetting out properties based on our likes and criteria, which very few brokers do." "Casey was great.. very patient with us. She knows the area well and work hard to find us the right place." "Casey's level of professionalism was amazing. Made the task of finding an apartment and my relocation from Australia so much easier. Have recommended Casey to other people looking for a property and they have much the same opinion." "My husband and I just relocated our growing family from Logan Square to the southwest suburbs. Casey helped us purchase our new home and rent our condo on a tight timeline (I was 9 months pregnant with our second child). She was always PROFESSIONAL and COURTEOUS. She was always providing us with updates each step of the way and always available to answer our questions. There were a couple hiccups along the way (issues arsing from the seller's situation and out of our control), but we Casey was outstanding in making sure it all worked out for us. THANK YOU, CASEY - we love our new home!!" "Casey was amazingly patient during our home search. She was so dedicated and helpful, often giving great advice while looking for a home that best fit our needs. I would not hesitate to work with Casey again. She helped us find what we were looking for and we couldn't be happier."